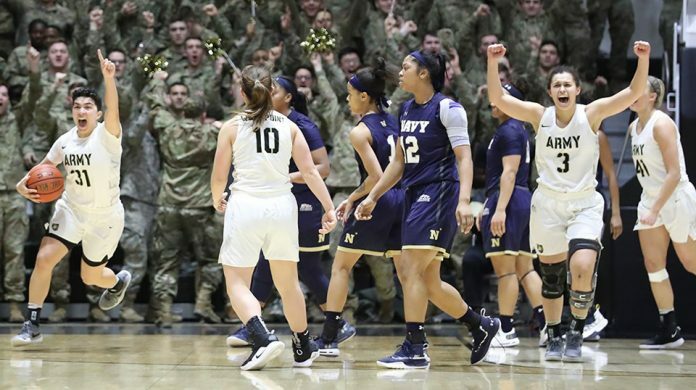 The Army West Point women’s basketball used a 16-2 second-half run to pull ahead of rival Navy before holding on for a 55-52 win Saturday afternoon at Christl Arena. WEST POINT – The Army West Point women’s basketball used a 16-2 second-half run to pull ahead of rival Navy before holding on for a 55-52 win Saturday afternoon at Christl Arena. Army halted Navy’s five-game winning streak in the series thanks to 15 points and nine rebounds from Madison Hovren. Rookie Lindsey Scamman added 11 points on 4-of-7 shooting as well. Alisa Fallon contributed on the boards with a game-high 10 rebounds, while Jess Lewis finished with eight points and five assists. The Black Knights shot 41.2 percent from the floor and 38.5 percent from distance in the game. Navy had three players in double figures with Kolbi Green leading the way with 13 points, while Bianca Roach and Jasmine Bishop had 10 apiece. Navy shot 33.3 percent from the floor and was 26.9 percent from behind-the-arc. The win was not for a Star in the Army-Navy Star Series. 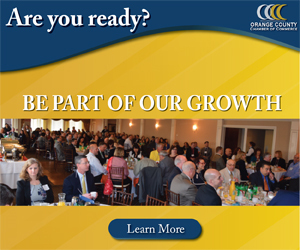 The Star will be awarded on Feb. 16 down in Annapolis. The Mids got out to an early 10-5 lead thanks to a pair of threes by Roach and Green. Army cut the lead to three at 17-14 with 2:20 left in the quarter before the Mids scored the final seven points of the frame to hold a 21-14 advantage at the end of one. Neither team was able to get it going early in the second quarter, but Coleman added a three to give Navy a 27-18 lead at the 4:50 mark. Fallon had the first four points for Army in the quarter. The Black Knights turned it on out of the timeout and finished the half on a 9-2 run to cut the Navy lead to 29-27. Scamman was incredible in the closing moments with five of her seven first-half points, while Lewis hit a big three during the run. Army struggle out of the gate in the second half and had two points in the first five minutes, but Kate Murray made nice move for two and then Yancey hit a big three to get Army within one at 35-34 with 4:28 left on the clock in the quarter. The Black Knights earned their first lead of the game since two minutes into the contest with Hovren scoring four points in the final minute of the frame. Army then took a 40-38 lead into the final quarter. Army’s success continued into the fourth quarter with a 10-2 run to start to build its largest lead at 10 points at 50-40 with 3:34 left on the clock. Hovren scored five points to be a catalyst during the run, while Bohn dropped in a three and Scamman hit two free throws. Navy got four points back, but Lewis sunk a huge 3-pointer with 2:14 left and then hit a jumper to give Army a 55-44 lead at the 1:26 mark. The Mids, however, didn’t go away as Bishop hit a layup and then Morgan Taylor hit a three from the top of the key. She answered again with another three off an Army turnover which cut the lead down to 55-52 with 45 seconds remaining. After another Army turnover, Navy had a pair of chances to tie the game in the final 10 seconds but both shots hit iron and Army won 55-52. The Black Knights take their two-game winning streak on the road Wednesday with a visit to Holy Cross for a 6 p.m.